Photograph of the Band of the King's Division in York. In 2006 The Normandy Band and The Waterloo Band amalgamated to form The Band of the King's Division. 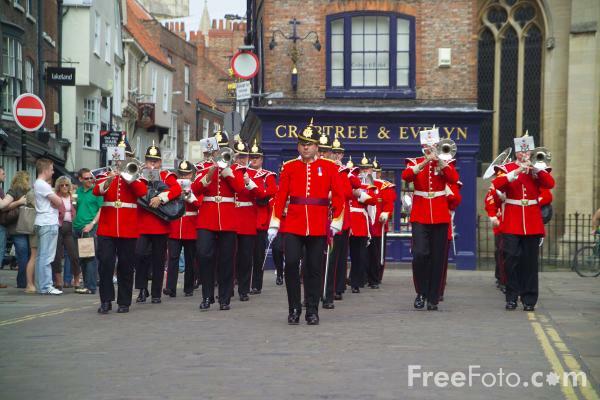 The band played in York on the 6th of June 2006 to mark the launch of the largest single County Regiment in the British Army - The Yorkshire Regiment. VIEW: More images from the category Military Band or taken at the same location or around the same time .